Revolutionary Binary Options Robot: Get real profit with Binary Options! Start copying Fox Signals on your accounts automatically! Only setup the systems and wait for real and verified profits! Don't worry about anything else, we'll trading for you. HOW TO USE FOX SIGNALS AUTOTRADING? 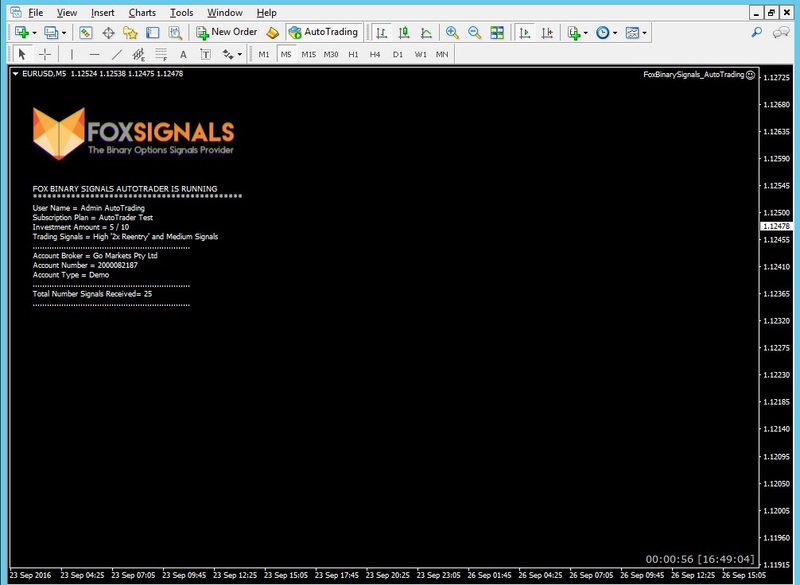 Create your Fox Binary Signals account here or login and subscribe to any Autotrading plan. If you don't have it, open an account in a compatible broker. 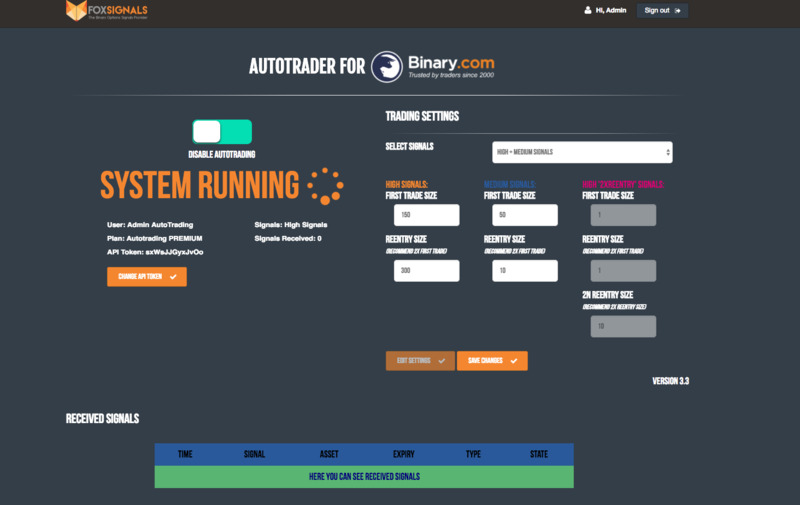 Open the Autotrader Platfom and follow the easy steps to link your Binary account or download the EA to install it on your MetaTrader 4. Run the systems, 100% hands-free, to copy Fox Signals on your accounts and start making money! Around +25% gain for each account! Systems are FULLY AUTOMATIC, you only need to link your accounts and keep it running! Sign up to Fox Binary Signals today start getting real profits!